Hold up right there winter watchers! It is not time to put away the swim trunks and backyard BBQ’s just yet. It’s still hot outside. Along those lines, Coretech has just introduced two, high-ventilation options to keep your torso and hands cool. 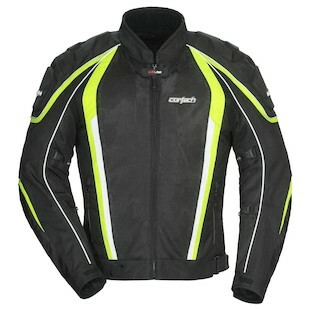 The new Cortech GX Sport Air 4.0 Jacket is a mesh jacket that will flow a ton of air while still retaining style, and coming in at a great price. The GX Sport Air jacket is a performance cut, which gives it that nice, tailored fit and feel throughout the the Armor-Link III mesh / 600 D Carbolex / 1680 D Carbolex outer shell. For comfort, the sleeves have been pre-curved and rotated to allow for great fitment in the saddle. Additional features include removable CE-approved armor, 360 degree Phoslite reflectivity, and an Aqua-Term waterproof / insulated liner for the days when you want to retain just a little bit more of that body heat. 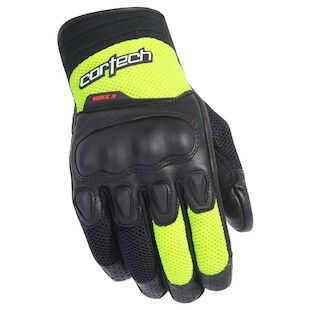 As for the gloves, the new Coretech HDX 3 Gloves are super lightweight and highly ventilated, but also offer a solid degree of protection when compared to others in this style. Pull-on, short cuff styling makes this minimalist glove a non-hassle when off of the bike, and a formidable riding glove while you are on. Hard knuckle protection watches out over the top of the glove while a goatskin leather palm allows for great feel and comfort while interfacing with the controls. Summer weather is still here, and the newest items from Coretech are working keep us riding comfortably, with a little extra coin in our pockets, well into the fall.